Announcing new software for utilizing Revel Digital as a screensaver on Windows PCs. 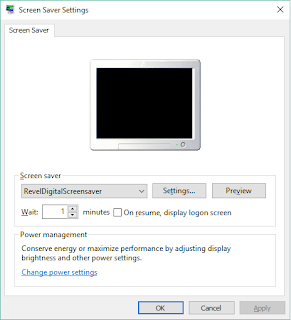 Screensavers are a great option for corporate communications, and with the Revel Digital platform it's easy to schedule content by region, department, holidays, etc. The screensaver supports the majority of our standard player features including templated layouts, emergency alerts, all major media formats, smart scheduling, and gadgets for dynamic content such as weather and calendars. Content and feature updates are automatic - no administrative intervention necessary after the initial installation and registration.